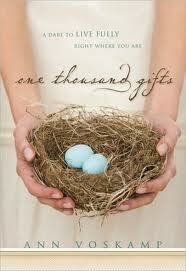 One Thousand Gifts by Ann Voskamp ~ a painfully beautiful look at giving thanks for the things that not only break us apart, but also impart grace and joy. Be prepared to wrestle with God, as you read the lessons Voskamp has so artfully woven together. She does not hold back as she shares the truth learned during the trials and tribulations her family has experienced. I was gripped from the first page. 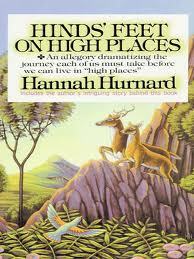 Hinds’ Feet on High Places by Hannah Hurnard ~ an allegorical retelling of the journey of a cripple, Much Afraid, from the valley of Fearing to the high places of the Kingdom of Love. Accompanied by the companions given to her by the Good Shepherd, named Sorrow and Suffering, Much Afraid must face Craven Fear and other enemies as she struggles to surrender to the Good Shepherd. 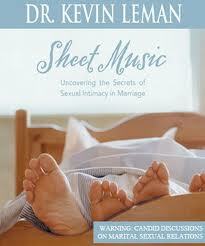 Dr. Kevin Leman honestly discusses marital intimacy. As you grin through the chapters, you will be asked tough questions, such as “What baggage do you carry to the bedroom?” and “What is your desire?” This book is helpful for every married couple, but especially wonderful for couples struggling with infertility and become estranged in love making. Though not explicit, this book should not be read by those who are not married. Both husbands and wives find it an easy page-turner. http://www.aholyexperience.com/ Ann Voskamp, author of One Thousand Gifts, regular blogs about the beautiful in the midst of the mundane, the good in the midst of the hard, the priceless in the midst of the tragedy. 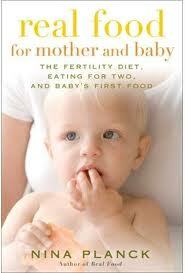 http://nmetzler.wordpress.com/ To Live For Him takes readers along on her journey through infertility. Her life is an open book, as she talks to the Lord, talks to her husband, and talks to the cows she milks. In my search for all-natural remedies and preventative health measures, I have become a distributor for Young Living and must purchase $50 a year to maintain my status. I easily reach that amount every year, as I purchase detoxification supplements, digestive aids, hormonal balancing essential oils, and all-natural skin and body care. Although I am pursuing the medical route of synthetic hormones in my desire to conceive, I also love the products sold by this company. Email Lauren.cupofbliss@gmail to learn more about therapeutic grade essential oils to help balance hormones and treat a wide range of ailments from high blood pressure to liver detoxification. Young Living is an all-natural company that sells supplements, antioxidant juices, and over 100 essential oils distilled in their facilities. They are one of the few companies who produce oils that are safe to be consumed internally and externally. Go to www.youngliving.org to learn more about the company. If desirous of placing an order or becoming a distributor to receive nearly 30% off retail prices every purchase, then sign-up online or over the phone. Please enter my distributor number as your sponsor/enroller number (1075771). 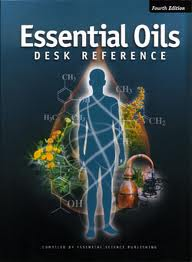 Essential oil literature includes Essential Oil Desk Reference by Essential Science Publishing and Gentle Babies by Debra Raybern. Brochures are also available by emailing me. Greetings from Singapore. I came to your blog when I google “Lean PCOS”. ” God’s Plan for PREGNANCY” – NERIDA WALKER. Thank you so much 🙂 Hugs to you!